Phoneowner.us - the national telephone number directory. How to remove your personal records from phoneowner.us? Enter your name, email, phone number. 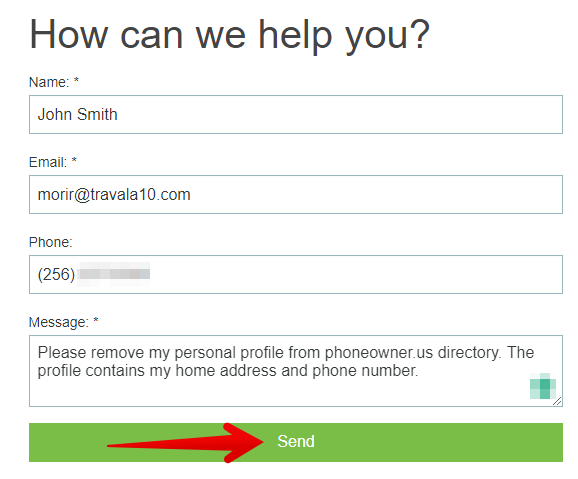 In the message box request the removal of your data.